Our tortured hero is playing a dangerous game with no plan for survival. Drake sees himself as done with this world. His body and mind have been broken and he has nothing left to live for except revenge. In some ways he feels that he does not deserve the purity of Emily's love because of all the bad things he has done in the name of good. And he is very good at his game. He keeps everyone wondering which side he is truly on through most of the book. Even as the reader, knowing where he lies, there are times he is tempted by the power of the dark side, to try to lead them along a better path by ultimately destroying all the ideals within himself. As for the romance, it is a not a book where the hero/heroine finally fall in love. Drake and Emily have been in love for a long time. They just finally needed the right push to make them act upon it. The threat of death is far greater then the threat of her father losing his job. They both rely on the other's feelings to get through the desperate situation they are in. Each, in their own way, manipulates the other to try to achieve their goal. It is not the evil manipulation that our lovely bad guys like to play, but rather that subtle manipulation we use everyday to steer our loved ones in a better direction and to keep them safe. In the end, they build the trust needed between the two of them to allow the book to go out with a bang. 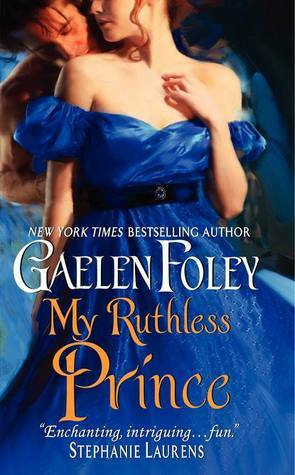 Sign into Goodreads to see if any of your friends have read My Ruthless Prince.